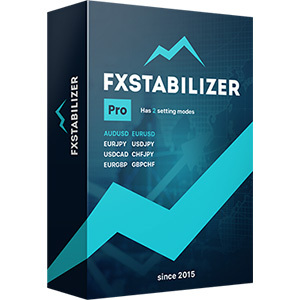 FXStabilizer PRO works on 8 currency pairs. 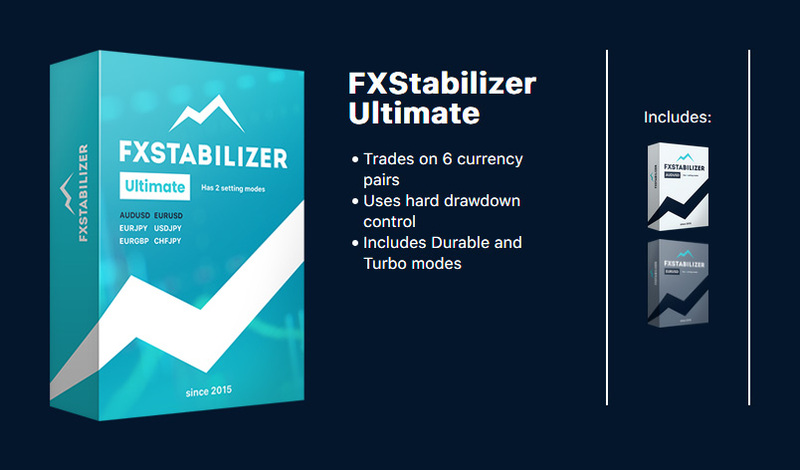 EURUSD and AUDUSD are the main pairs which have 2 modes: Durable and Turbo, their statistics are available on our website. 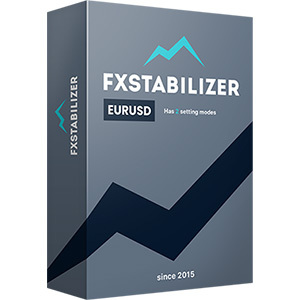 Other 6 currency pairs (EURJPY, USDJPY, USDCAD, CHFJPY, EURGBP and GBPCHF) do not have a trade mode switch. 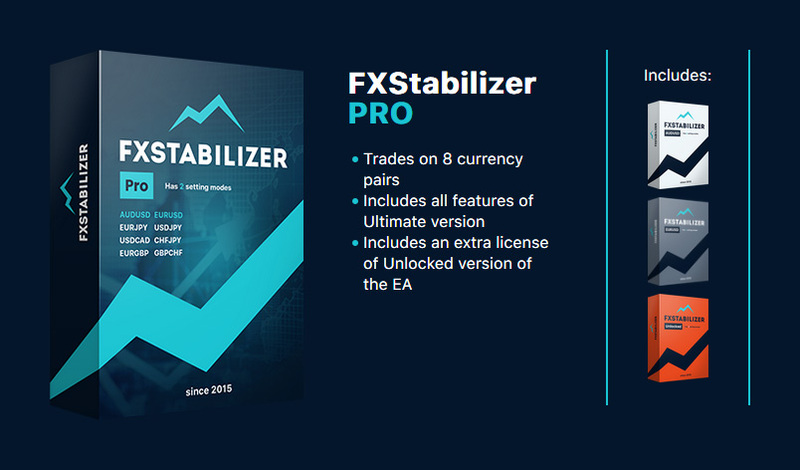 Also, it includes an extra license of a special version of the EA - FXStabilizer Unlocked, which has no restrictions on currency pairs, and has completely customizable parameters. This will allow you to use the EA without limitations and customize everything as you want, or develop your own custom settings. 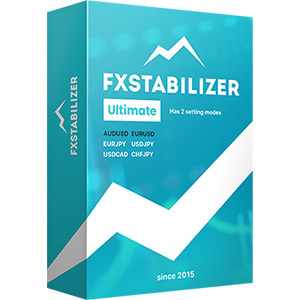 FXStabilizer Ultimate works on 6 currency pairs. 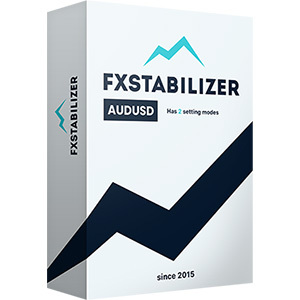 EURUSD and AUDUSD are the main pairs which have 2 modes: Durable and Turbo, their statistics are available on our website. Other 4 currency pairs (EURJPY, USDJPY, USDCAD, CHFJPY) do not have a trade mode switch.